today i try to install the TRD EBC for my camry but i find out my car dont have the plug II2 plug ! I am in Australia , anyone know about this problem ?please help me out ~ should I just leave it ? Do you have auto or manual trans? Your ECU can be seen in the top right corner. 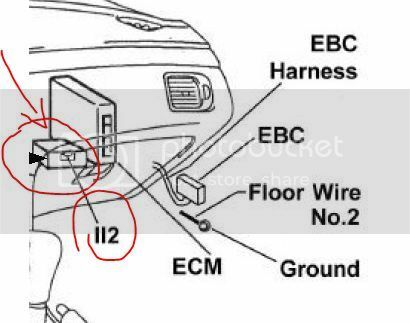 The I12 plug is the blue plug in this pic (as referenced in the TRD EBC install manual page 4, step 3). Pin 2 should be the purple/red wire (top, left) Per the TRD manual, the colors may vary, but pin location stays the same regardless of model year. As a side note, my car is a manual and i never installed the EBC. Hey John what did you end up doing with the wire???? HARKEM wrote: Hey John what did you end up doing with the wire???? You dont need the EBC if you have a manual trans. 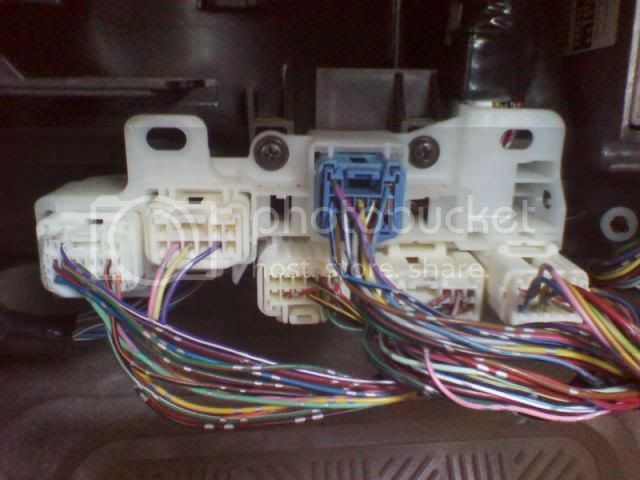 Its purpose is to cut boost while the auto trans switches gears to prevent damage. Since you're already lifting the throttle to manually shift, its pointless in our manual trans cars. Hey Solarapete how many km's you done so far on your engine without the ebc wired in??? Well i put the S/C on in 2008, and prob put on about 40-50k since then sooo thats about 65-80km. Hopefully a couple other manual guys can also chime in to confirm.